Mark your calendars and give the kids a nap. On Sunday, November 6th, the UCCC Youth Board is sponsoring our 3rd Annual Big Movie Night. 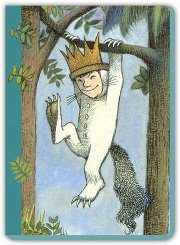 We will be showing six classic children's stories by Maurice Sendak, including Where the Wild Things Are and Chicken Soup with Rice. Join us! A fun, free family event! Please bring your own seating; we will have light refreshments and one REALLY big movie!